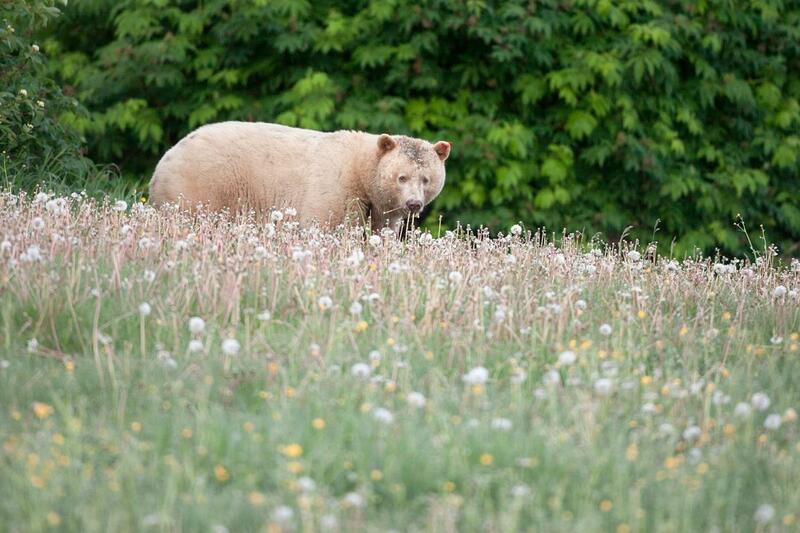 The sun is out, the snow is melting, the oolichan are running and the bears are emerging. Spring is on the way. This means that the spring fishing season is just around the corner. Although many of us are eager to dust off the rods, it’s also time to consider how each of us can help Skeena salmon thrive in the face of an extremely low salmon return forecast for the 2017 season. The need for more research, monitoring and sustainability programs for Pacific Salmon stocks are greater now than ever before. Take a look at the Watershed Watch Salmon Society's overview from 2016 and the 2017 outlook. Let’s Pull Together to protect Wild Salmon! RAVEN (Respecting Aboriginal Values & Environmental Needs) has launched a campaign to support Indigenous legal challenges of Petronas’ LNG plant on Lelu Island. RAVEN is proud to stand with the Tsimshian tribe of Gitwilgyoots, the Gitanyow Hereditary Chiefs, the Gitxan House of Luutkudziiwus, and the Gitxan House of Gwininitxw to stop Petronas’ LNG export terminal in the pristine salmon habitats that have sustained Indigenous communities for millennia. 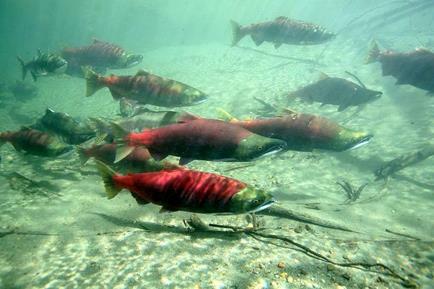 New threat looms for B.C.’s wild salmon. Fisheries and Oceans Canada (DFO) is moving ahead with a controversial plan to rewrite Canada’s Policy for the Conservation of Wild Pacific Salmon, better known as the Wild Salmon Policy and adopted in 2005 by the previous Liberal government. The Wild Salmon Policy provides a comprehensive framework for the full protection of wild salmon and their habitat, including recovery of stocks at risk. Pacific Futures Oil Refinery Environmental Assessment Review Underway. 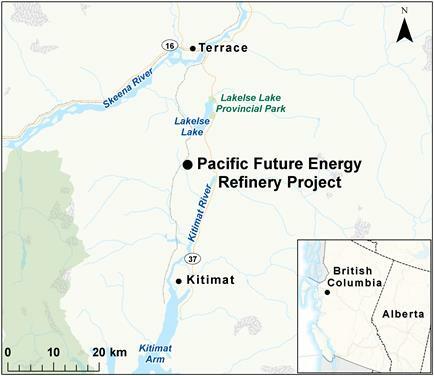 SkeenaWild has received funds from the federal government to take part in the environmental review process for the Pacific Futures Oil Refinery project. The proposed site for the facility would be along Highway 37, between Terrace and Kitimat and produce more than 200,000 barrels of oil a day. We have serious concerns about the social and environmental impacts this project will have on our communities. We want to ensure Aboriginal rights and the health of our communities are protected and that the EA process is as inclusive as possible. As the EA review moves forward, SkeenaWild will keep you informed as to how you can participate to ensure our voices and concerns are heard. Are you SkeenaWild’s next Volunteer Extraordinaire? 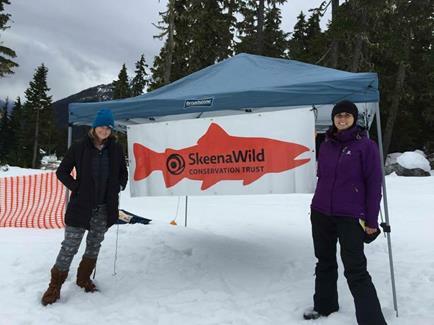 SkeenaWild is gearing up for a busy spring/summer season and we're looking for volunteers to help us on a couple of projects such as the annual Garb-a-thon, Getting Out the Vote for the May election and BC Rivers Day, to name a few. More help is always needed. If you’re interested in getting more involved, check out our volunteer sign up sheet. Download the SkeenaWild App Today! 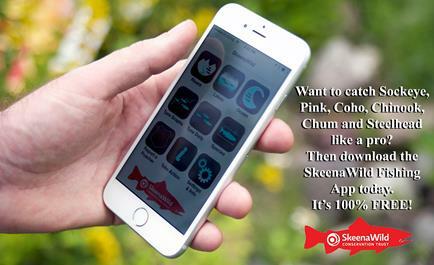 The SkeenaWild Fishing App is Your Guide to Fishing the Skeena and North Coast. Learn more about the features of this new fishing tool and help to conserve wild salmon and steelhead at the same time. Real-time weather & water levels, Descriptions of local rivers, lakes & ocean, Everything you want to know about salmon & steelhead abundance & timing, Species identification, Simplified & mapped regulations, Ocean weather & local tide tables, Plus updates & news from SkeenaWild. Get the SkeenaWild Fishing App Here! 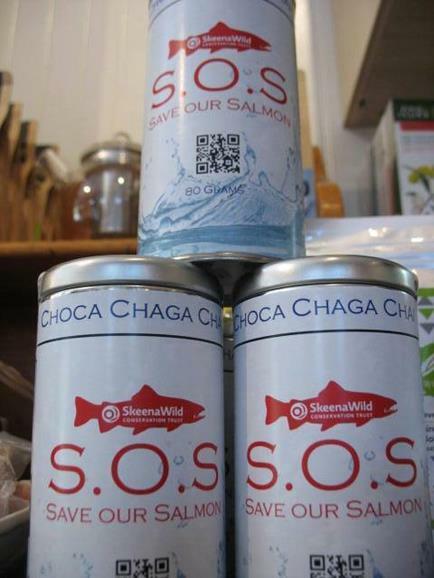 Thumbs up to Hype 11 Tea in Terrace for partnering with SkeenaWild to develop the Save Our Salmon Choca Chaga Chai blend of tea. The chaga is harvested from Northwest BC, and the spices are Fair Trade and sourced from sustainable communities or family run farms with organic and stewardship values. It’s on sale now at the SkeenaWild offices in Terrace, Rosswood General Store, Vitality Spa in Kitimat, or Natures Pantry in Smithers. You can also order online. Tea time!